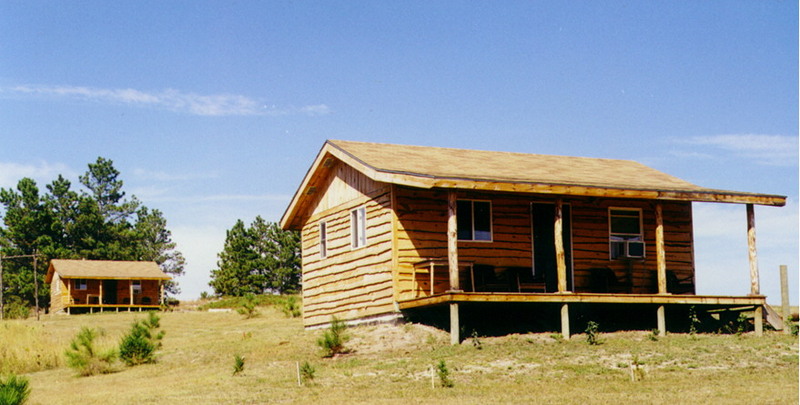 South Dakota Cabin Rentals: Accomodations for hunters on the Rosebud Sioux Reservation. For South Dakota Hunting & Fishing visit the Salt Camp Cabins located west of Rosebud, SD. Located on the Rosebud Sioux Reservation west of Rosebud, SD in the area known locally as Crazy Horse Canyon. Our business is in accommodations. We do not guide, nor do we run a guide service. If you require a guide we can put you in contact with people who do guide. Here's a link to the Dark Canyon Hunting Guide. We can help you make initial contact, but final arrangements are between you and the guide. If you want to venture out on your own, we have maps available and will be happy to orient you and point you in the right direction. "At the Heart of the Rosebud"
Please contact us via email or telephone for cabins rates and availability. We require a one night deposit in advance to reserve a cabin and reservations are usually necessary. Thank you for your understanding and for your interest in the Salt Camp Cabins and the Rosebud Reservation. We hope your stay is an enjoyable one. If there is anything we can do to assist you, please don't hesitate to call. Click here for a bigger picture of the cabins.